This post was republished with permission from Corey Egan. 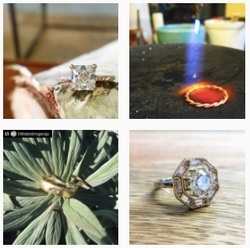 Corey Egan is a San Francisco based Jeweler, Designer and Small Business Owner. Holding a piece of jewelry that contains an antique diamond feels like you’re handling ancient treasure. And for good reason! 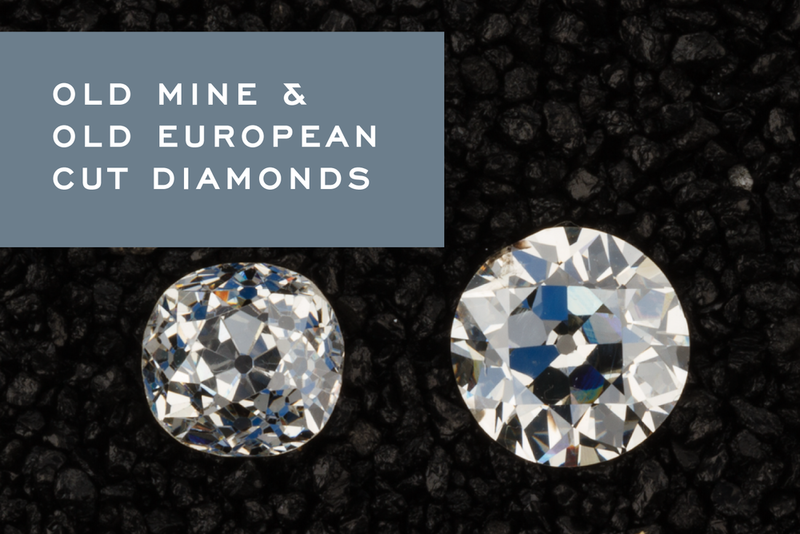 While modern diamonds are mined and cut by the millions each year, a limited number of Old Mine and Old European Cut diamonds exist in the market today. These precursors to our modern day round brilliant cuts offer a distinct visual experience from the way their hand cut facets play with light. The facets are wider and more geometric, resulting in pops of sparkle instead of the disco ball dazzle we see in modern diamonds. They’re perfectly imperfect, and that’s what gives them their charm. Old Mine and Old European Cut diamonds are the most common of the antique diamond cuts. Today we’ll dive into each and to share their origins and point out their visual characteristics. With any luck, you’ll be able to spot the difference between the two in no time! The antique Old Mine and Old European cut diamonds are commonly found in jewelry from the Georgian, Victorian, Edwardian, and Art Deco Eras which spanned from the 1700’s through the late 1800’s. Diamonds of this era were cut by hand. The bruting machines used to cut modern diamonds were not invented until the 1900’s. The diamond rough for these gems originated in the literal “old mines” of Brazil and India. The African mines that supply the whitest rough were not yet discovered. 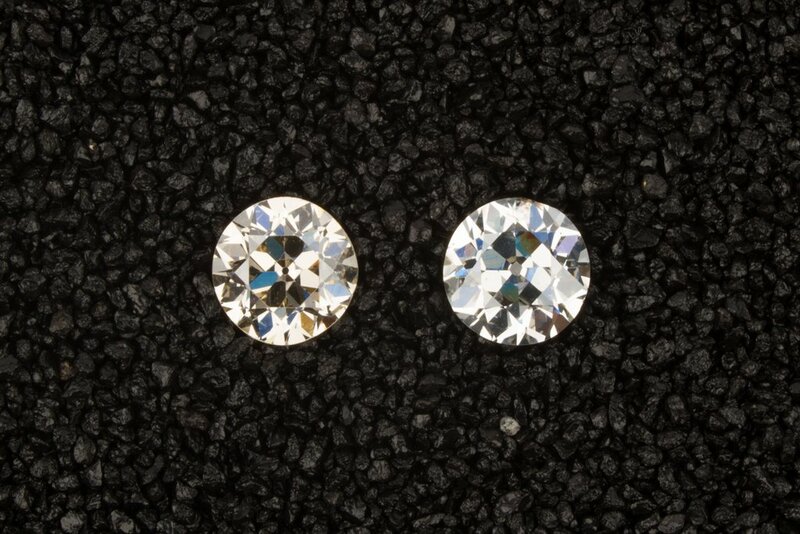 So these diamonds tended to be of lower color and in more limited numbers than what we see today. Diamond cutters of this time were inventive. They assessed each diamond individually and cut it to bring out the best color and sparkle for that stone. They were meant to dazzle under candles, gas lamps and lower light conditions. Since each one was hand cut to please the eye, no two would ever be identical. 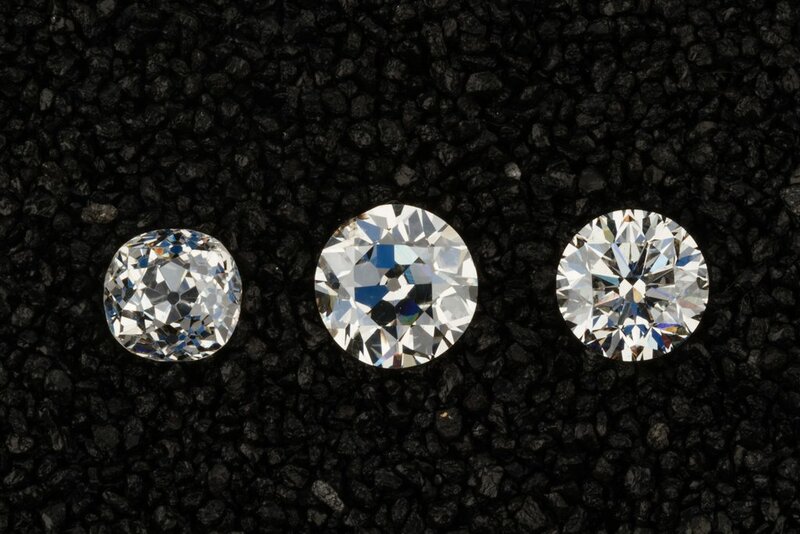 Though they come from the same humble origins and reigned in overlapping eras, the Old Mine Cut and Old European Cut Diamonds have distinct visual differences. Let’s dive deeper into how you can distinguish between the two. Old Mine cut diamonds were most commonly used during the Georgian and Victorian eras from the 1700’s through the 1800’s. 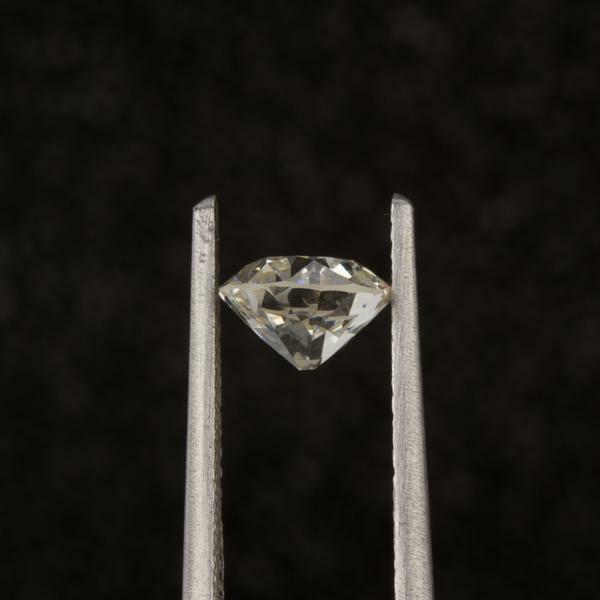 The first characteristics that will jump out when viewing an Old Mine Cut diamond are the open culet (the round facet on the very bottom of the stone) and its squared off “cushion” shape. 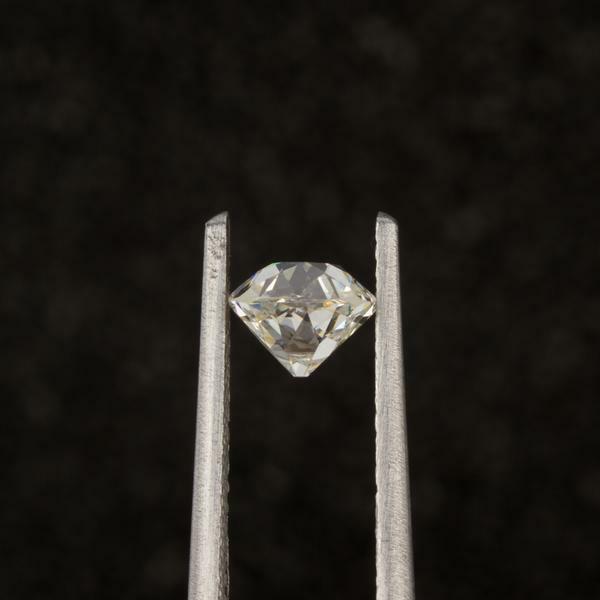 Diamond cutters of the day would follow the gem’s natural octahedral shape as a guide. The girdle, the widest part of the diamond held in the tweezers above, was often the unpolished edge of the natural diamond crystal. The very top facet, known as the table, is very small. Old Mine Cuts also feature a high crown and a large pavilion. Like our modern round brilliants, the Old Mine Cut has 58 facets, but they are chunkier and more geometric than the facets of modern gems. 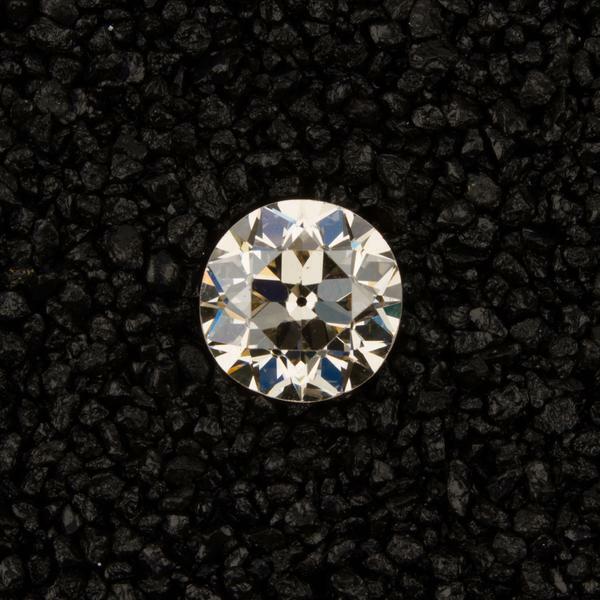 Advances in diamond cutting technology led to the development of the Old European Cut diamond in the late 1800’s. This meant that the diamond shapes could be rounder, tables a bit larger, and the facets became more elongated. Old European cut diamonds were a precursor to our modern brilliant diamonds and were popular during the Victorian, Edwardian and Art Deco eras. 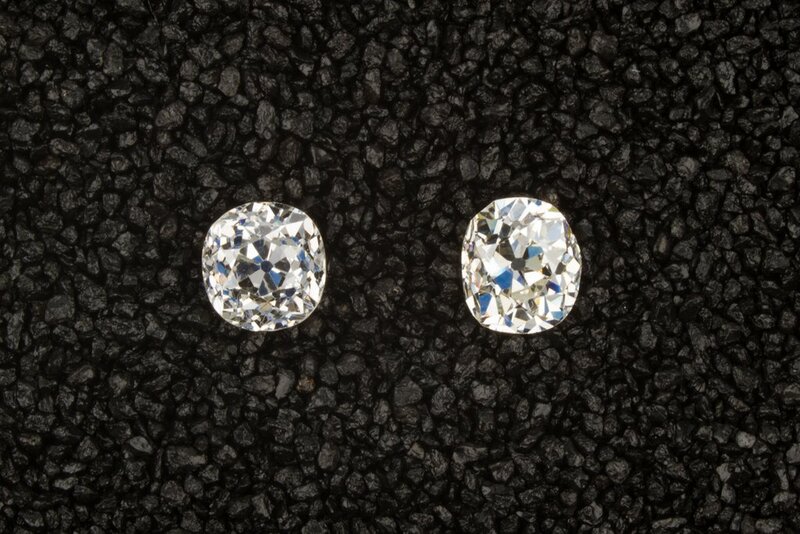 Similar to the Old Mine Cut Diamond, the culet is still present in Old European Cut diamonds but it is often smaller. Old Europeans have a rounder shape, although many are still imperfect because they were cut by eye and not by machine. 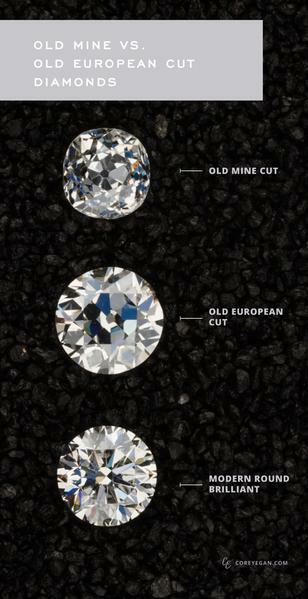 Like the Old Mine Cuts before them and Modern Brilliants after, Old European Cuts have 58 facets. It’s worth remembering that the hand cut nature of antique diamonds is what gives them a palpable charm and beauty. However, this same character is what makes it near impossible to compare them to our modern day grading standards. I believe these antique gems are best observed and appreciated one by one. 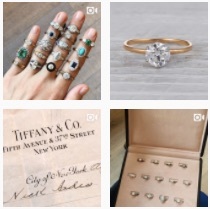 These antique diamonds are all about character. The beauty standards we judge modern diamonds against were not defined for gem cutters of this era. 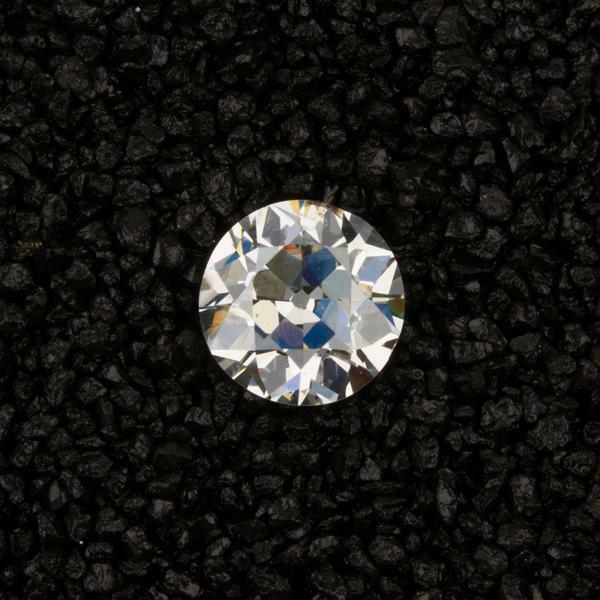 The evolution of diamond cutting technology now allows for repeatable processes and standardized angles that were designed for maximum brilliance. As a result, modern diamond grading reports have a hard time reconciling these antique cuts. They should receive “poor” cutting grades because they don’t follow the cookie-cutter dimensions of today’s modern brilliants, yet they are still immensely beautiful gemstones. 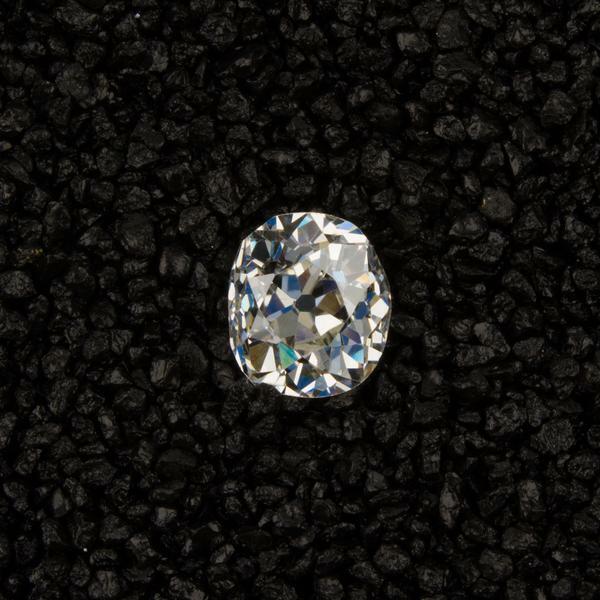 The lower color of antique diamonds also is hard to judge against our present day scales. During their day, many of these lower color diamonds — the J, K, L, M’s that might scare off a modern shopper — were some of the best on the market. Diamond cutters in this period cut each diamond to enhance its color. So while the letter grade may rank low, remember that to the naked eye they will “face up” whiter. 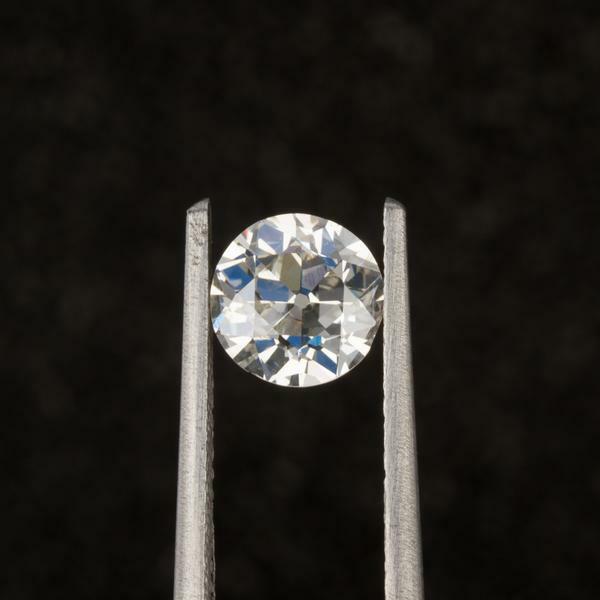 Lighting conditions greatly affect the look of an antique diamond. Since these cuts were meant to dazzle under lower lighting conditions, they have a more interesting sparkle throughout our day-to-day. I encourage you to view them in as many lighting conditions as possible— daylight, fluorescent, incandescent, even candlelight— before you buy. The right gem for you is the one you have a visceral reaction to. 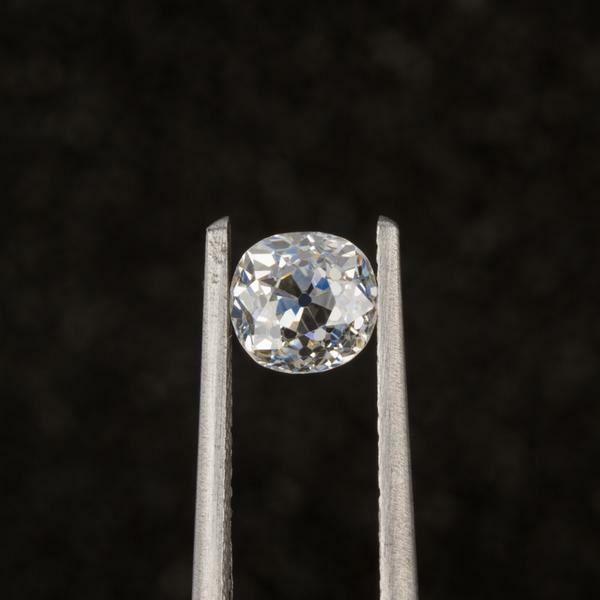 If a rare and unique diamond is truly what you seek, you can’t get much better than an Antique Diamond. You can find the original post by Corey Egan here. An interview with Brent Rose, self described actor, burrito-eater, filmmaker and writer for Wired, Outside Magazine, Gizmodo, Deadspin, Men’s Journal and Men’s Health Magazine. 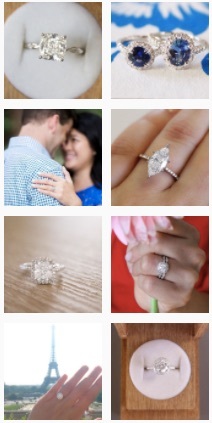 Little Bird: So Brent, how would you start your engagement ring search? Brent: I have no idea. Like most guys I would probably start with the internet - because that is where you look for everything these days. I would Google “diamond ring” or “engagement ring” or even search for “how to pick the right ring”. 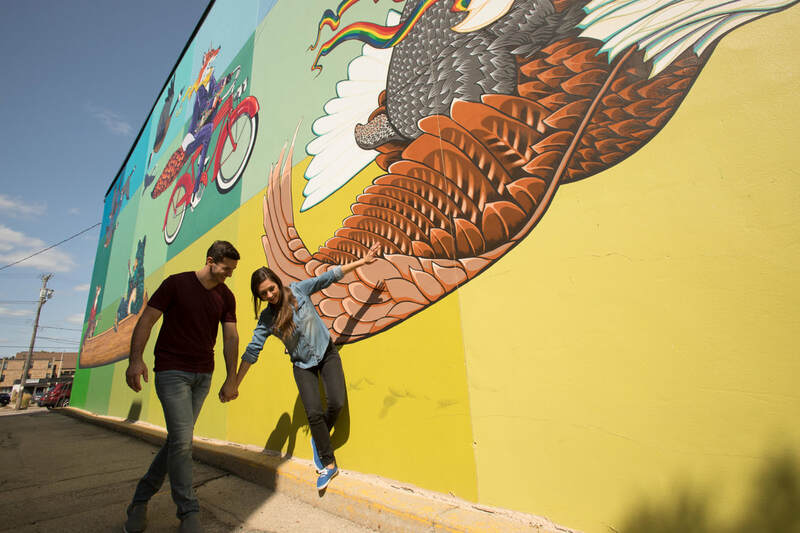 I might look at places like Zales, the Diamond Center or Jared to try and get an idea of the baseline market. If I did ask any friends, I would try to talk to guy friends that make the same sort of salary as I do and are already engaged or married. If you ask rich friends, you’re opening the door to soul-crushing despair. Little Bird: Good point. Within every group of friends some are reasonable about budget, and some just spend… unbelievable amounts. 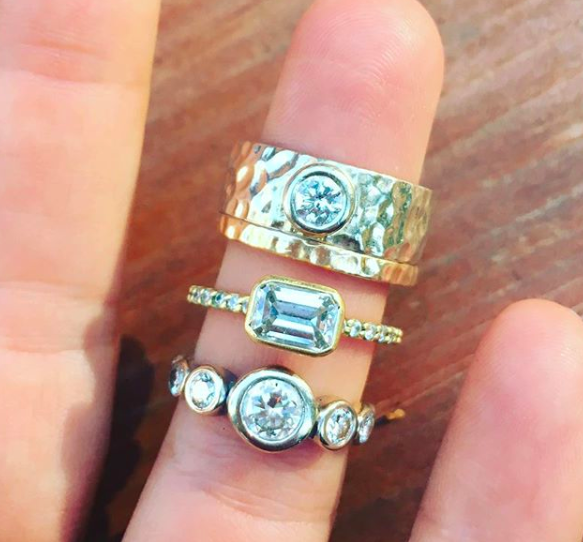 So how would you go about calculating your engagement ring budget? Do you think this is how most guys these days come up with a number? Brent: I don’t know a lot of guys who can afford to spend 2 months salary. Which is hard to face because you are in love, but realistically, you can’t drop 8k on a ring. You have to pay rent. Guys may start with 2 months salary but they usually scale it down. Little Bird: Yeah, the two months salary deal was from a really different era. It seems like life is just SO much more expensive today. As a guy, what are your top priorities when looking for a ring? Brent: Well the first phase is usually the budget phase. Then comes the depression phase when you start seeing some of the diamonds that are out there. Closely followed by the panic and anorexia phase [maybe I can't afford food this month]. And then the realistic budgeting and financial planning phase. Next you’d probably go through her jewelry and look at her taste - does she like simple and low profile or BLAM? You are trying to find a design that matches her personality. 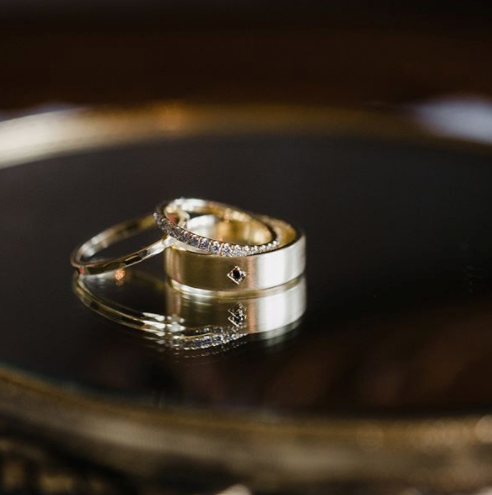 For some girls a decadent ring might be totally wrong style-wise. The problem then is that guys don’t know the search terms because most guys have never had to think about them. Even if they had a picture of a ring in their mind, they have no idea what to call the thing they are looking for. It would be great to be able to talk to her, but they don’t want to ruin the surprise. The vast expanse of options is overwhelming. And then there’s sizing. Even if she has other rings, you never know the right size for her ring finger because women generally don’t wear rings on that finger. You can try to be sneaky, but it almost never works. 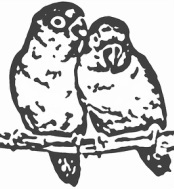 Little Bird: What about ethical origins of diamonds and metals? Is that important to you? Brent: Most guys know to think about ethical origin - but they can’t tell how to actually avoid bad diamonds. Some of the industry terms get really confusing. Little Bird: You are absolutely right. 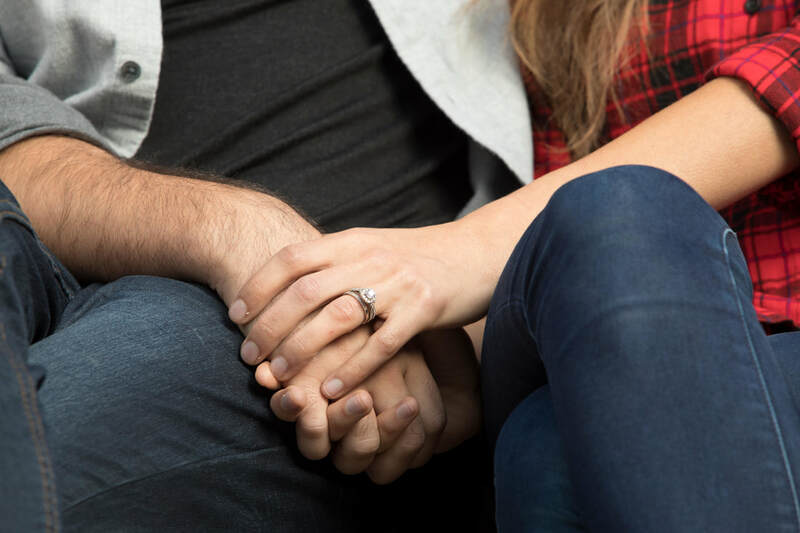 The definition of “conflict free” the Kimberley Process is very different from what you and I would consider to be “ethical origin.” Luckily for me, our Little Bird Co-Founder, Danielle, is a super-expert on this subject, so I can just ask her. Little Bird: How much time do you think the average guy is willing to spend learning about diamond grading and the industry? Brent: It would be great if someone could explain diamonds in simple human terms. If I had to guess... hmm, very little. I mean some people go totally OCD, but most people are willing to go as far as whatever gets a ring that their girl will like. Most guys will try to do some preliminary research, but it gets overwhelming really fast. Someone once mentioned Etsy, but when you start searching around you realize how little you know and you start to doubt your own taste. Little Bird: You’re the expert on guy shopping, what do you think is another one of the nuanced purchases that guys make? How do they get help? What works? Brent: I guess the best comparison is a new car. For some people a ring can be just as much. There are a lot of variables when you are buying a car, but you can get a lot of objective information from the internet or magazines. That being said, you are buying a car for yourself and a ring is a gift so you can’t just pick whatever you would like to wear. This is a guessing game with a lot riding on it. There is this element of judgment with rings. You picture a bunch of girls squealing over a ring because you have seen it on every TV show and in movies. It seems so cliché, but then you see it over and over again in the real world! It shouldn’t matter at all but you worry that it is going to matter to her. You don’t want the ring to be an object of ridicule. 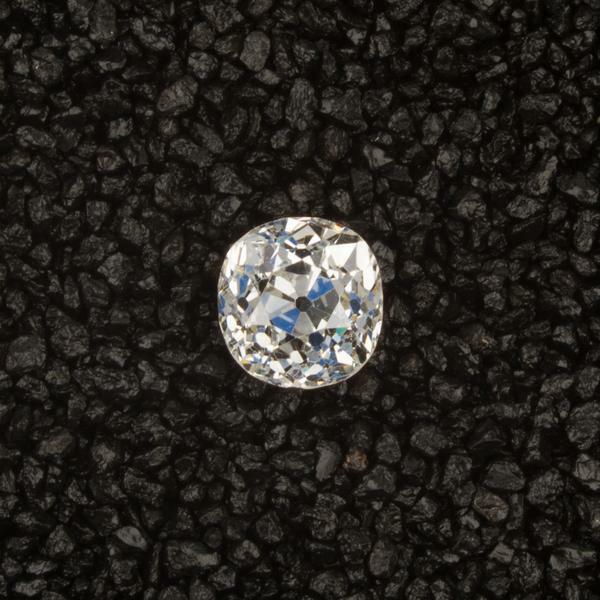 There is a lot of stigma for cubic zirconia or other non-gems, so it can be a stressful calculation. You want to get her something that is worthy of her, and of your love. 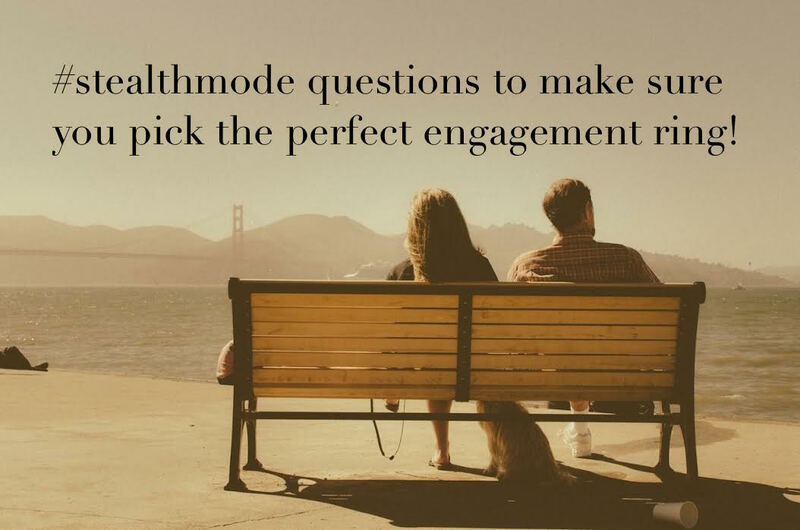 Little Bird: When guys are uncertain about any part of the engagement ring process, who do they go to for help or advice? Married buddies? Parents or relatives? Her friends? Internet? Is this something that guys talk about amongst themselves? Little Bird: Of your guy friends that are married, do you know what their ring shopping experience was like? Have they said anything that sticks in your mind? Brent: Truth is, guys don’t talk in too much detail. Some have inherited rings, which is not an option for everyone. I know some couples shop together... but that kind of wrecks the surprise. Actually, I think guys don’t talk about this much at all... which is probably why there is so much confusion. Guys want to appear smart and in control and not scared. If you are worried about rent, you have no idea how you are going to pull this off. It is incredibly stressful. 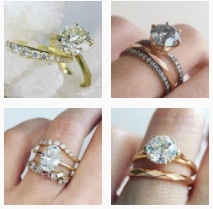 Buying a ring is such a major thing in life and it becomes representative and emblematic of the greater turmoil around asking someone to marry you. 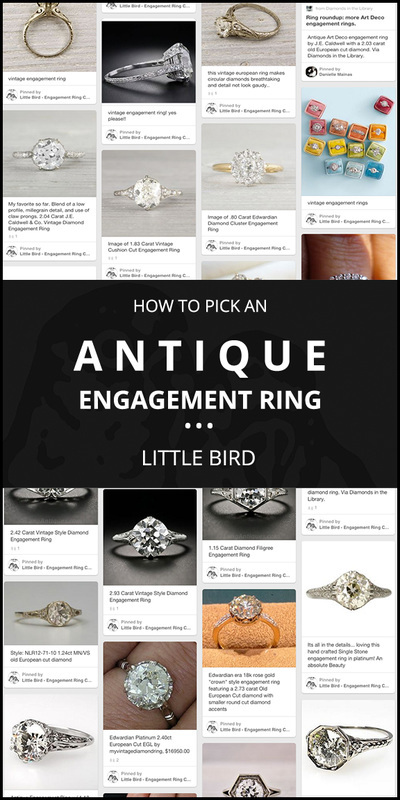 Little Bird: I have to admit, I am a little surprised because I have thought of ring shopping as being so much more fun! Brent: No. Most guys don’t see this as fun. Guys that are worried about money are not having such a good time. Guys are really afraid they are getting ripped off. An expert in your corner would give you major peace of mind. You are about to drop onto one knee and you are already freaking out - this is one less thing to worry about. Check out some of Brent’s remarkable and almost uncanny acting talent, or his Friday booze column for Gizmodo, Happy Hour, OR his pretty awesome twitter feed, all of which are hilarious and fascinating. Guys: we want to hear from you too! If you have a totally different answer, or a totally similar answer, or a funny story about any of these issues, please get in touch with us. 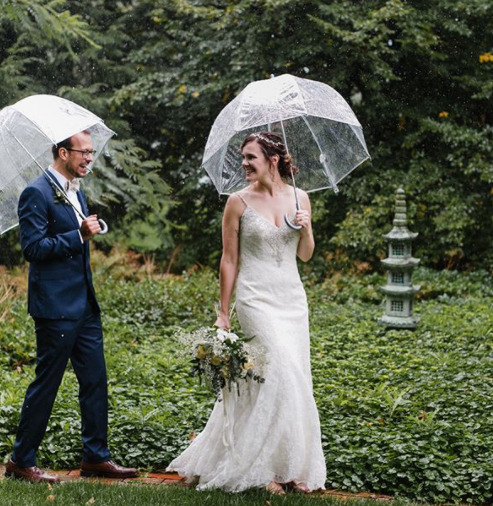 We are dedicated to making this process more fun and less stressful for you.